Binder's Guild began as an information exchange of amateur and professional bookbinders in Ann Arbor Michigan who met at the now closed Academy Book Bindery. 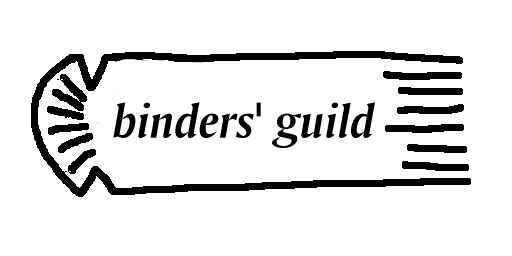 The Binders' Guild published the Binders' Guild Newsletter as a means of disseminating information in the field of hand bookbinding. Writings, short and long, that contain useful information concerning bookbinding or other related fields made up the content of the Newsletter, with emphasis on practical bookbinding advice for the hand bookbinder. organizations on our links page.